Both courses are hands-on, seminar-sized, lab-based courses where the final projects will be related to digital cultural heritage topics. Venice itself is such a complex place and I look forward to seeing how the students engage with it in relation to digital media forms. In “Digital Storytelling” students will have the option of doing their final projects in Italian if they are also enrolled in the Intermediate Italian course – I am coordinating with the instructor on this. They are also both Information Science + Studies courses back at Duke and count towards the ISS undergraduate Certificate there. We publicly announced the new PhD Lab in Digital Knowledge Fellows for 2016 on August 23, 2016. This heterogenous group of grad students from various departments and programs will work with Co-Directors Phil Stern, History, David Bell, Romance Studies, and me to think about how digital knowledge production can transform their scholarship, teaching, and communications. This project, initiated by Cathy Davidson and closely tied to HASTAC, will continue to evolve as we focus in this year on Duke students and their projects. We plan 2x/month lunch meetings plus a variety of programs, events, and workshops designed to foster conversation, exploration, and connection. As the director of the Digital Humanities Initiative I’m eager to see the PhD Lab scholars initiating and integrating into various projects, as well as bringing back to their departments and programs a sense of how digital tools and approaches can complement, supplement and potentially transform their academic practices – while at the same time honoring the standards and values of their home disciplines. From August 19-21st we kicked off the NCCU-Duke Digital Humanities Fellows program. 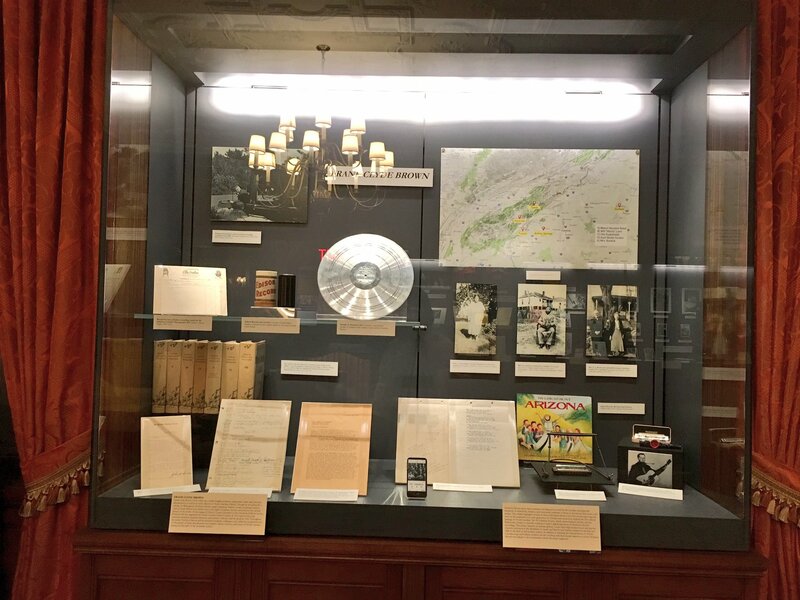 This is supported by Mellon Humanities Futures and was undertaken as an activity connected to the Duke Digital Humanities Initiative. I co-taught the kickoff workshop with the help of my colleague Hannah Jacobs, who shared some of her tutorials on timelines, maps, and online archives with our group. We met some great colleagues who will be developing courses and DH projects over the next year and a half. One interesting and important challenge is thinking about how to do project-based courses when you don’t have fancy labs or TAs to help. We really had to fine down what the pedagogical and research purposes are of the “tools” we select, and also to consider how relying on public-facing, hosted tools impacts privacy and sustainability. We are looking forward to hosting some joint DH workshop events over the course of next year, and to find some good partners for parallel courses, shared course modules, and other experimental pedagogical strategies that will enable the NCCU and Duke colleagues to teach parts of courses together around topics of shared interest. Stay tuned! The Digital Humanities Initiative website at Duke soft-launched on August 18, 2016. We are continuing to develop the project profiles and other resources on the site, but it is exciting to see it in place. Tremendous credit goes to the DH Klatch group, a team of mostly Duke staff from around campus who have been working hard on identifying the different strands of DH on campus, developing training and support services, and thinking through some of the tough questions on how we do scholarly work in the digital age. Kudos too to Trinity Technology Services for pulling it together over the summer, teasing out of our complex imaginings something that is usable and extensible. We will be officially launching it at a public reception at the Franklin Humanities Institute as part of the Fall 2016 DHI kickoff and introduction of the new PhD Lab Fellows. I hadn’t planned to go this year (after a number of years running volunteering for the conference) because I was doing so much traveling this year, but I got the happy news that I’d been selected and approved as the new Chair of the ACM SIGGRAPH Digital Arts Community Committee, so headed out to Anaheim to meet with the committee and begin planning. My term officially begins September 1, but I was already busy learning more about the inner workings of the DAC and its projects during my time there. The group has been putting together some fine online exhibitions, and has been working on an ACM SIGGRAPH Digital Art History project for several years. It is very interesting to have this window on the year-round committee when most of my experience so far has been with the annual conference art shows and art papers. We are in the middle of setting up some new projects, upgrading the social media presence, and finding more ways to connect members with each other and with related organizations and events. I had the opportunity to teach the VV Summer Workshop version 5.0 this year. I was joined by my colleagues from the Wired Lab, Mark Olson, Hannah Jacobs, Ed Triplett along with Ludovica Galeazzo, whom we have worked with on various Visualizing Venice projects over the years. While prior versions of the workshop were also great, we had an exceptional experience this time in terms of overall quality and commitment. Through the generous support of the Getty Foundation we have been able to bring together an ever-more competitive applicant pool, and we also made sure we had time to delve into the students’ individual project plans in hopes of tracing direct and lasting impacts from our interventions. This year was special because we were holding the workshop in conjunction with the 500th anniversary of the Venetian Ghetto’s founding. Our Italian colleagues put together a major exhibition at Palazzo Ducale, and our workshop group had the great fortune to visit during the opening weekend. At the same time, I worked with collaborators Paolo Borin, Università degli Studi di Padova, and Ludovica Galeazzo, Università Iuav di Venezia, in putting together a mobile app to be used on-site in the city. We experimented with different ways to present historical materials reflecting the lived experience of the space at different historical periods. 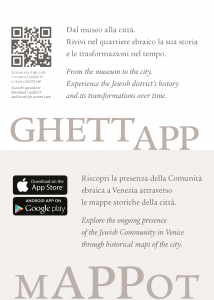 Our final product, Ghett/App 1.0 is available for download now. 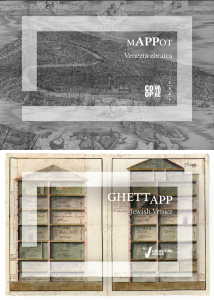 Other colleagues developed another map-based tool, MAPPot, which focused on locating some other exhibition content within the city. We advertised both together at the exhibition. Our biggest challenge was finding ways to overlay panoramas of the past and present in order to convey the sense of enclosure, densification, and change the region experienced, while still encouraging active engagement with the site today. I will continue to develop these augmented reality and rich media content pieces of the project while I am teaching in Venice in Fall 2016. I’m honored to be joining the HASTAC Steering Committee! 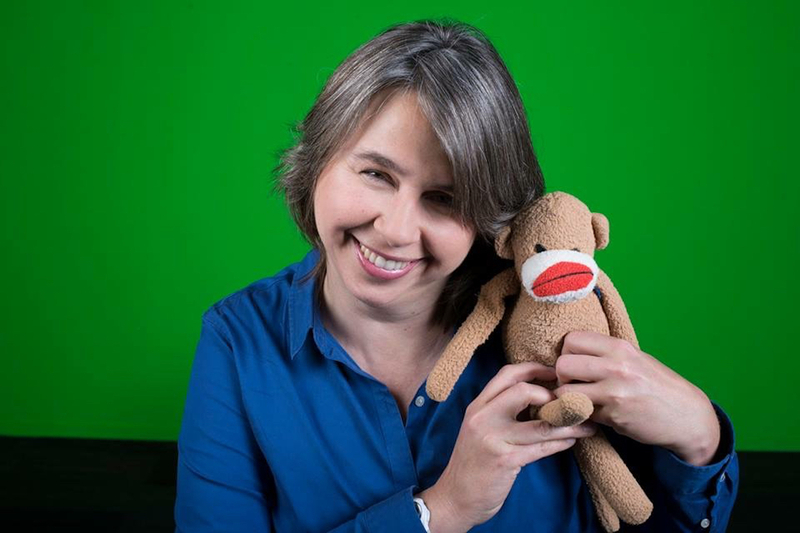 HASTAC and Duke have enjoyed a close relationship over the years, as Cathy Davidson, one of the co-founders, was at Duke at the time it was created. 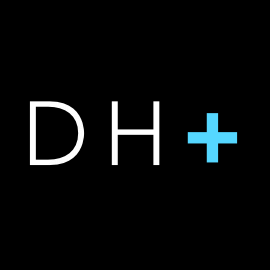 HASTAC also partners with the Franklin Humanities Institute on the PhD Lab for Digital Knowledge, founded by Cathy, and which I currently co-direct. The HASTAC conferences are always a highlight of my year when I’ve been able to attend – Peru was especially memorable – and the community is rich and unique in its focus on teaching and learning in the digital age. I’m very much looking forward to staying connected and helping to plan the next phases of the HASTAC community operations. Huge achievement this year: we got the interdisciplinary, interdepartmental PhD in Computational Media, Arts & Cultures approved in May by the Board of Trustees. 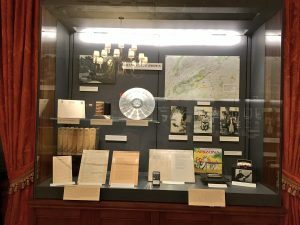 A collaboration between AAHVS, Literature, and the Franklin Humanities Institute, and with the support of the Mellon Foundation, this is a novel and inovative program in many ways. As the person carrying the latest proposal through the various committees for the approval process I have learned a tremendous amount about how programs are structured and evaluated! CMAC is now listed on the Graduate School website with the hopes of accepting students for Fall 2017 admission. We already have a proto-PhD track in AAHVS, with students who have been pioneering the concept, but now we are getting into the next phase of the operation. As the new DGS for the program, I am hoping for – and fearing – a deluge of applications. Earlier in the year we successfully renamed the AAHVS Historical and Cultural Visualization MA to be Digital Art History/Computational Media. The DAH track is tied to the Wired Lab while the Computational Media track is tied to the various labs operating under Media Arts + Sciences/CMAC. It is exciting to see this community of fellow travelers grow! Smith Warehouse is buzzing.